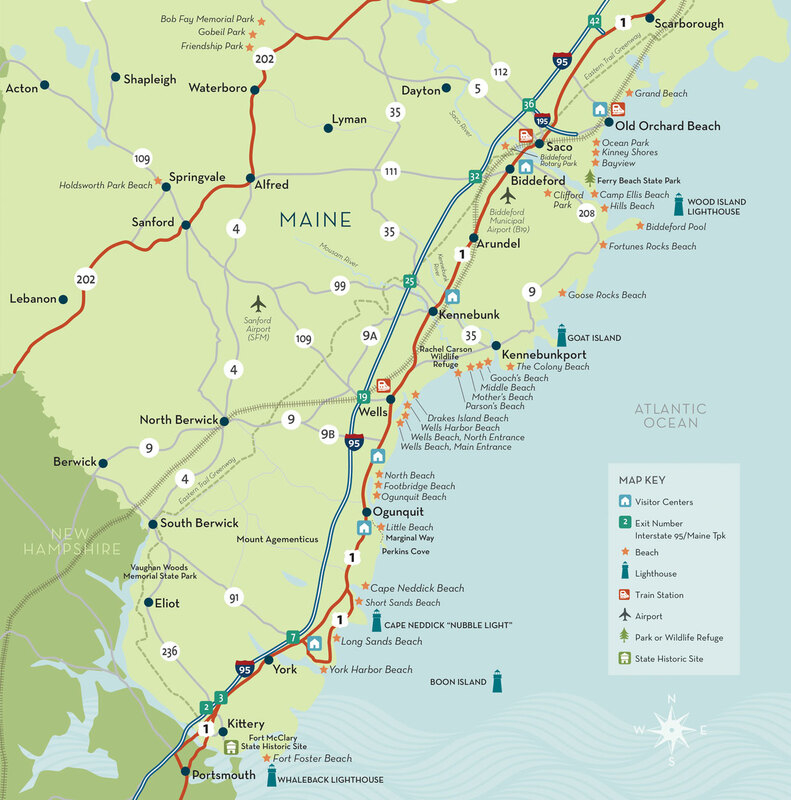 While the Maine Beaches region is known for our miles of sandy beaches on which you can walk or sunbathe with others, we also have acres of forested paths to explore alone, or with a registered guide. Life can sometimes pull us in all directions, rendering it hard to decide which path to take. But with forest bathing, all paths lead to healing, whether you take the high road with sweeping mountain vistas, or the low road through salt marshes teaming with cattails and cordgrass. These paths feature a variety of terrains, from boardwalks through salt and freshwater marshes, to pedestrian bridges across rivers, past vernal pools, around ponds, through wild blueberry patches and fields of flowers, to scenic stopovers atop mountains and hills. During a forest bathing excursion, leave your electronics and your worries behind you. Take a safe, gentle walk through the woods to slow your mind and body down so you can begin to open your senses and connect to the pulse of the living landscape. Once surrounded completely by nature, the therapeutic properties of the forest will begin to soothe even the most frazzled nerves. Breathing in the scents and the abundant oxygen produced by the plants around you will ease tension and promote relaxation. Take a moment to feel the soft cool moss beneath your feet. Listen to the babbling brook beside you and the birdsong around you. Stop to smell the flowers, and while you’re at it, smell the plentiful, fragrant herbs as well. Inhale the fresh air and exhale your worries. Forest bathing is a magnificent wellness activity, and one the Maine Beaches provides an ideal backdrop for. Prefer to have a guide? Contact Maine Coast Explorers, 207-251-5226. Cutts Island, Kittery Point: Two-mile loop. Forest, marshes, birding. No dogs. Vaughn Woods State Park, South Berwick: Three miles of easy to moderate hiking through 165 wooded acres adjacent to the Salmon Falls River. Leashed dogs. Kenyon Hill Preserve, South Berwick: One-mile loop just outside of Ogunquit. Leashed dogs. Orris Falls Conservation Area, South Berwick: Five+ mile trail featuring a lake, small waterfall, old homestead remains and woodland cemetery, plank bridges, beaver dams and “Balancing Rock” and Brown Hill. Leashed dogs. Mousam Way North, Springvale: This trail follows both sides of the Mousam River, and loops around Mill Pond. Rugged wooded trail includes the scenic “Indian’s Last Leap”, a swimming hole, and a footbridge. Leashed dogs. Steedman Woods, York Harbor: Cross the famous “Wiggly Bridge” pedestrian suspension bridge separating Mill Pond from the York River to get to this half-mile wooded loop. Leashed dogs. Mount Agamenticus, York: Dozens of miles of trails ranging from easy to difficult. Features scenic vistas, wildflowers and wild blueberries in season, and waterfront trails. Trailheads start from the top of Mount Agamenticus as well as from several other areas along the roadside. Dogs allowed. Wells Reserve at Laudholm Farm, Wells: Network of ten trails through 2,250 acres, featuring a little of everything! Woodlands, wetlands, and grasslands. Be sure to pick up a trail map on your way in to choose the right trail for your mood. No dogs. Rachel Carson National Wildlife Refuge, Wells: One-mile loop including boardwalks and salt marshes. Leashed dogs. Kennebunk Bridle Trail, Kennebunk: This 6-mile path features woodland and Mousam river views, a pedestrian bridge, boardwalks and lookouts with sweeping salt marsh views. Dogs on leash. Secret Garden Trail, Kennebunk: One point seven-mile wooded loop hidden behind a cemetery halfway between downtown Kennebunk and Kennebunkport. Dogs allowed. Wonder Brook Preserve, Kennebunk: One point five-mile trail, one-third of which is riverside, located in downtown Kennebunk. Dogs allowed. Clifford Park, Biddeford: Located in downtown Biddeford, this two point six mile trail features a waterfall on the red trail. Moderate difficulty. Dogs allowed. 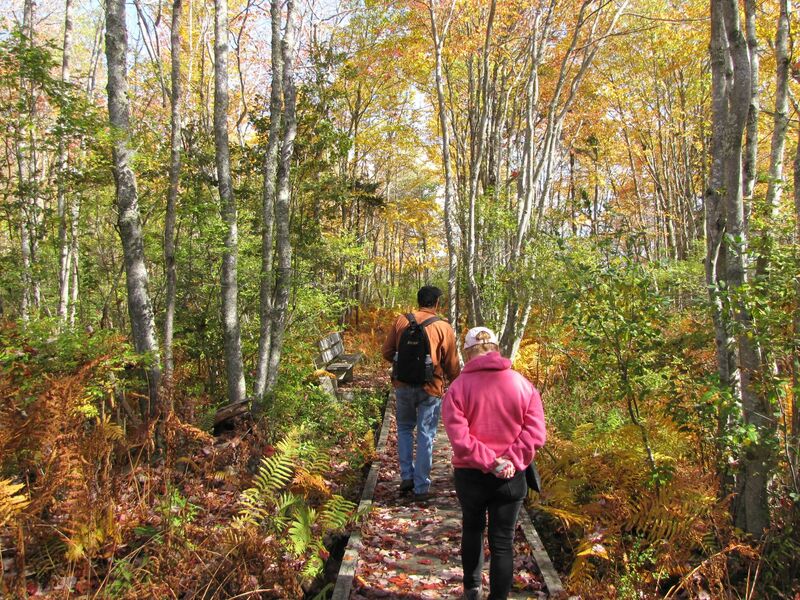 Saco Heath Preserve, Saco: Two-mile boardwalk trail through forest and marshes. No dogs. Cascade Falls Trail, Saco: Half mile loop with several waterfalls. River views and fishing. Dogs on leash.